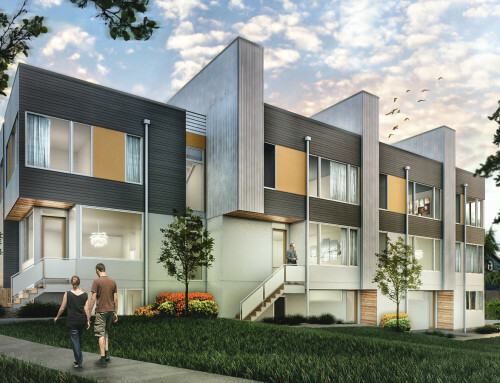 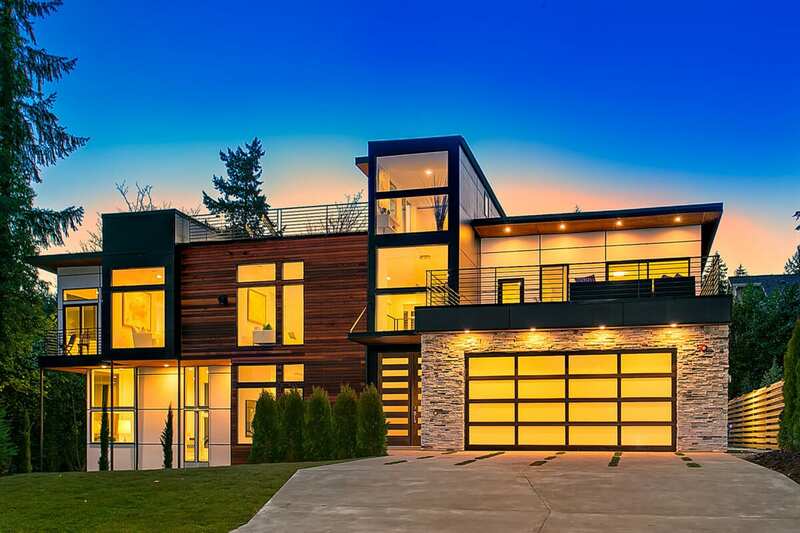 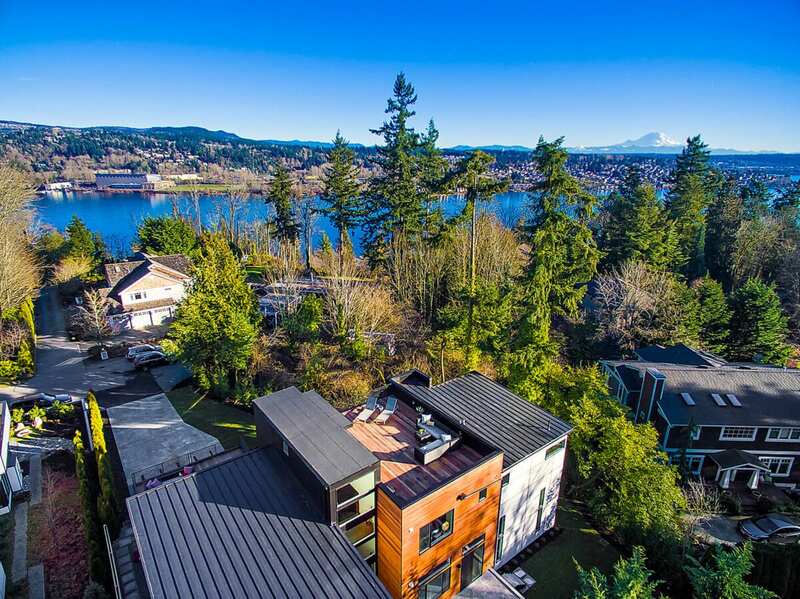 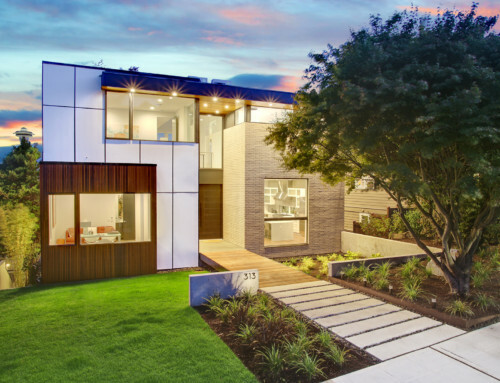 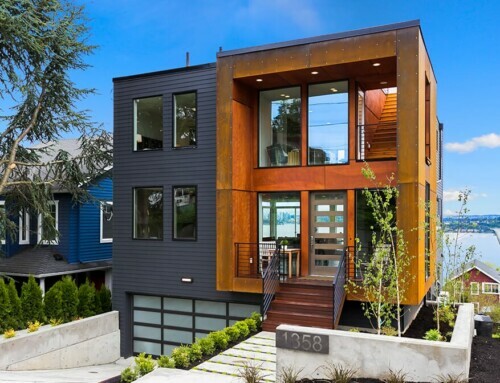 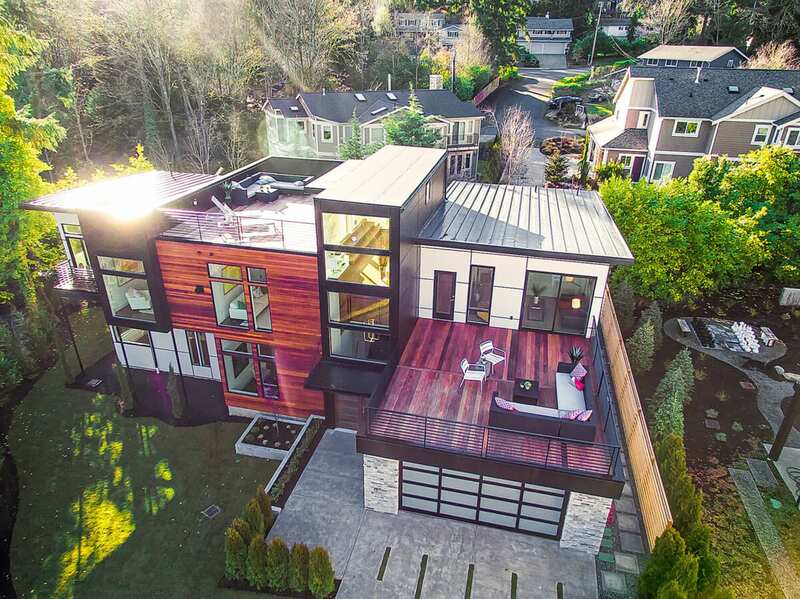 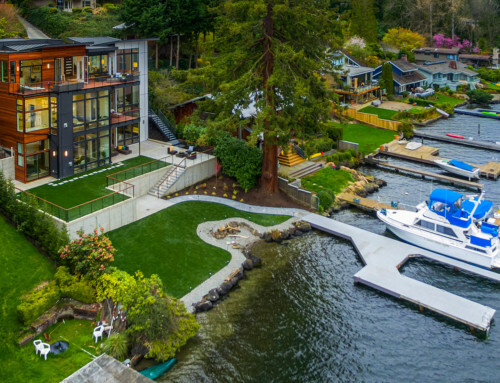 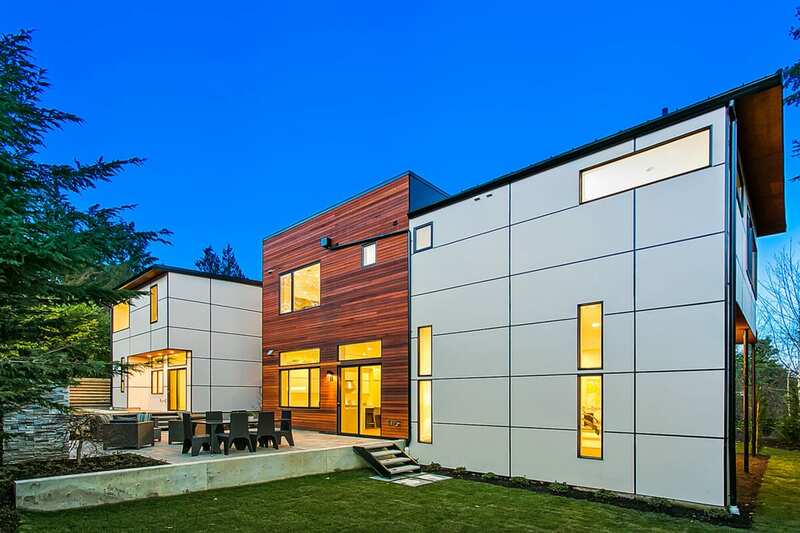 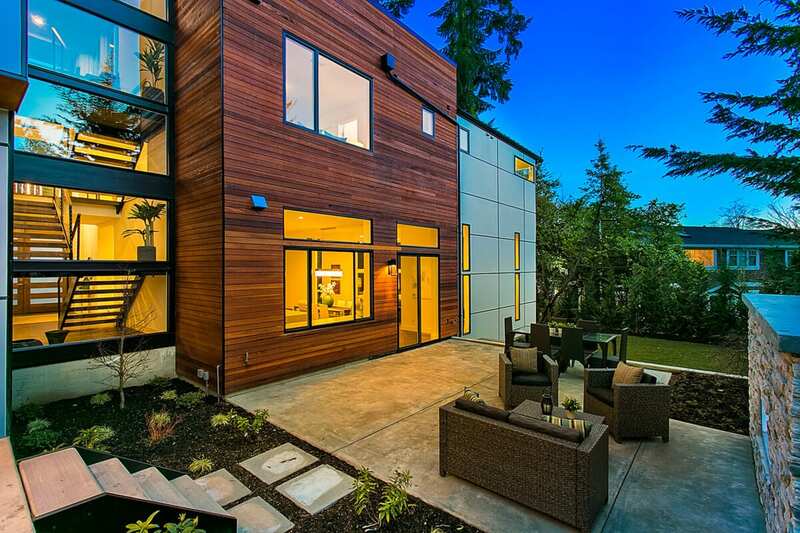 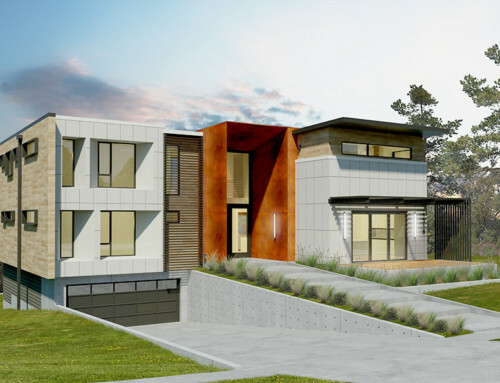 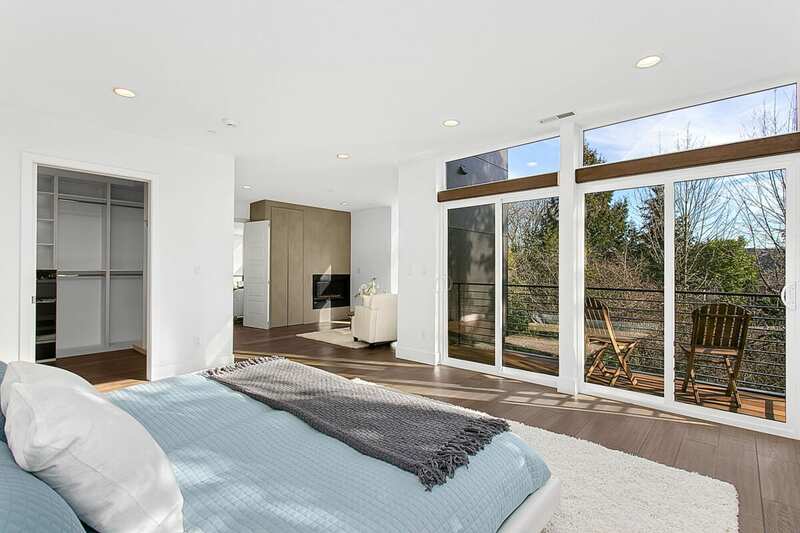 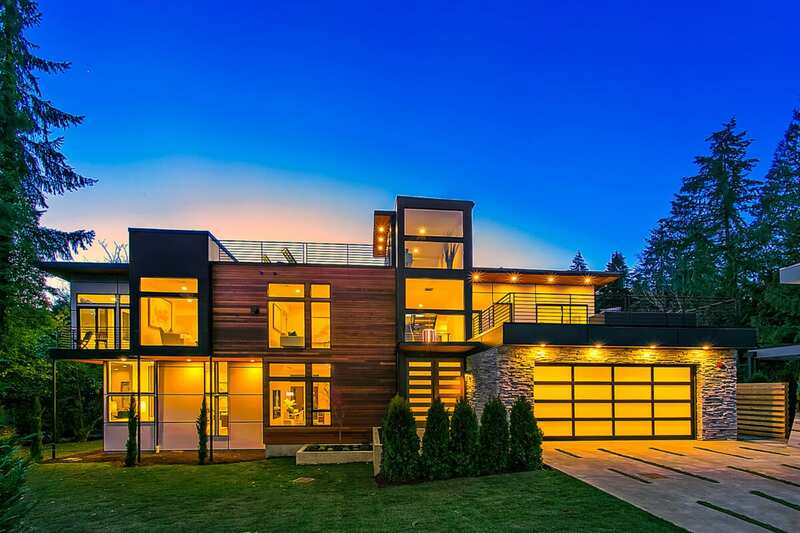 Barcelo Homes proudly presents this thoughtfully designed modern home at the south end of Mercer Island. 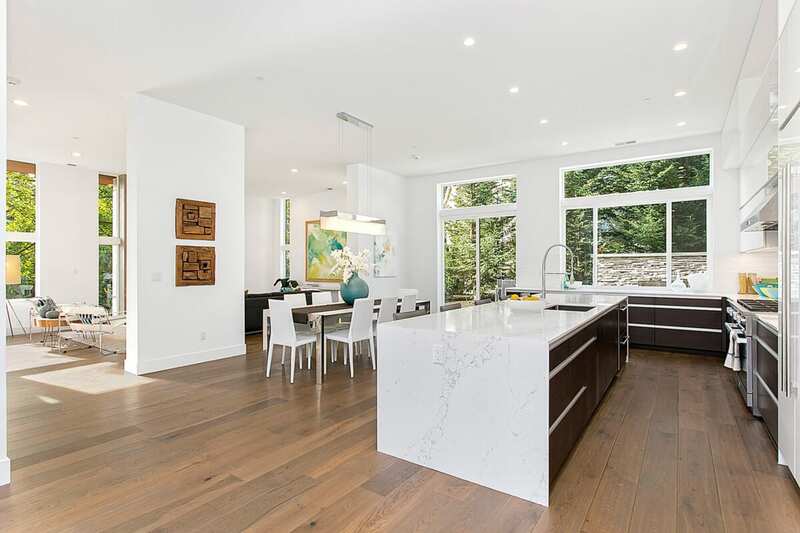 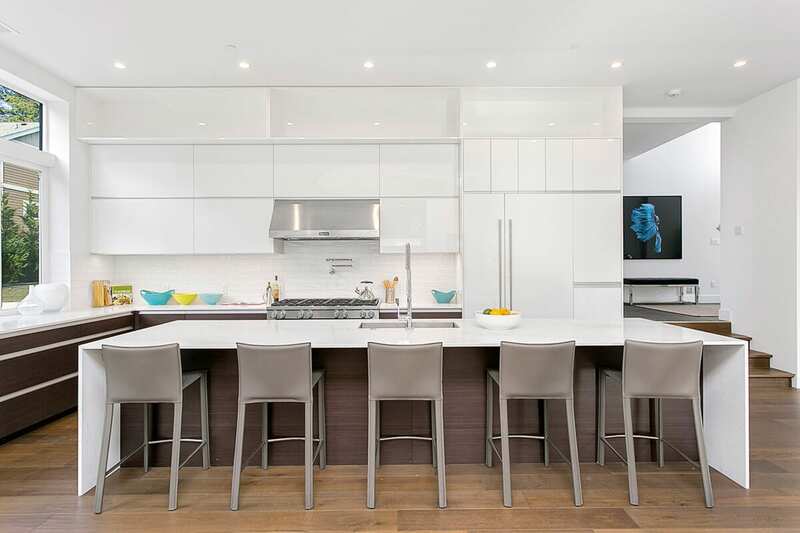 Designed to fit the needs of modern families, there is a great room complete with 30’ Kitchen Island with quartz countertops that opens to the dining and living area to create seamless entertaining spaces. 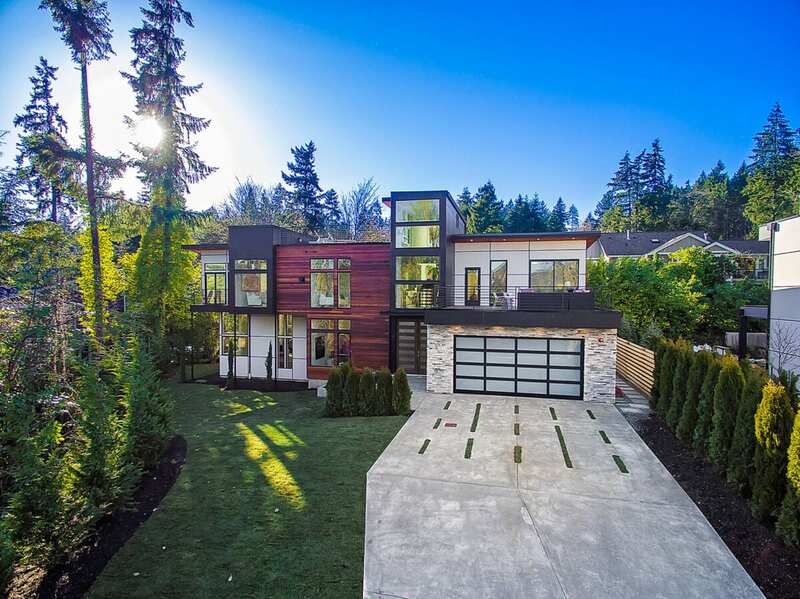 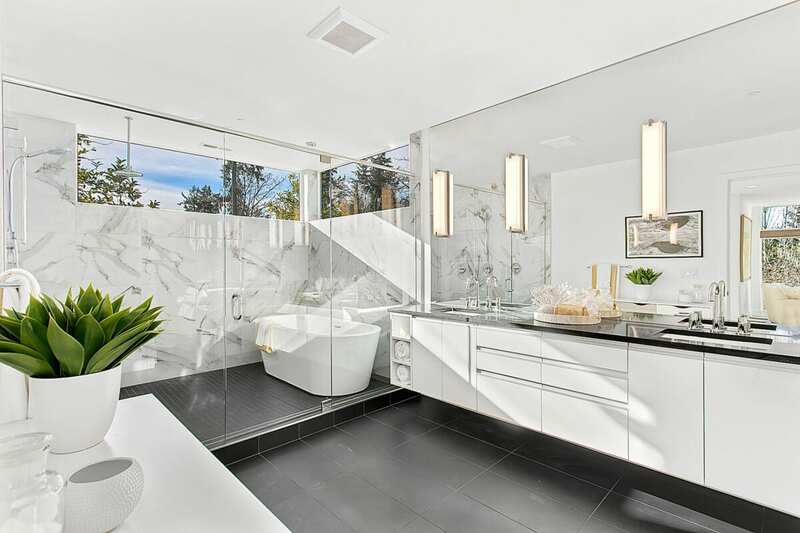 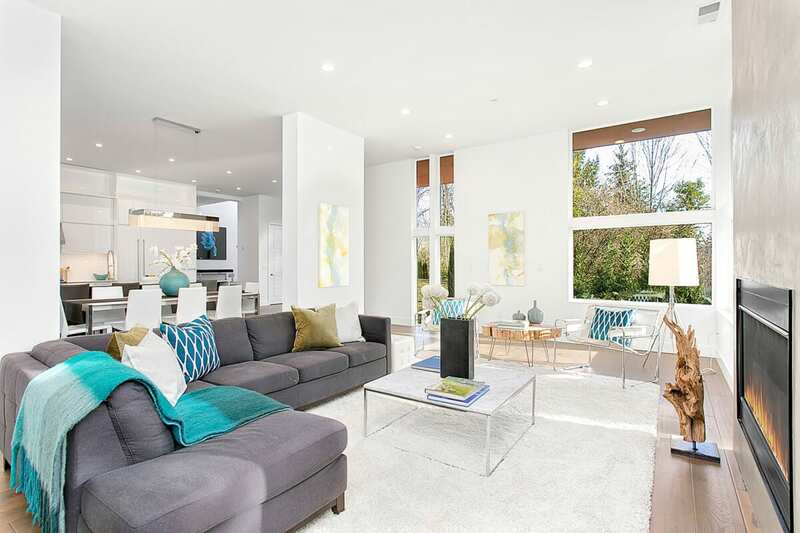 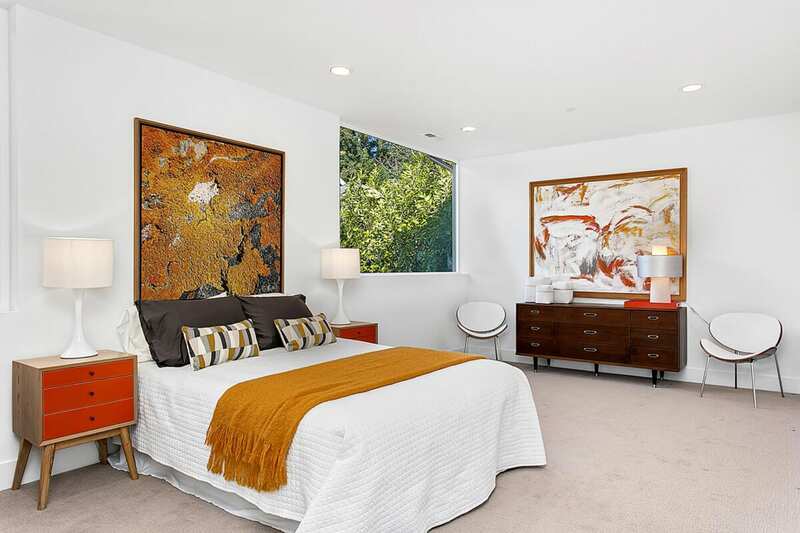 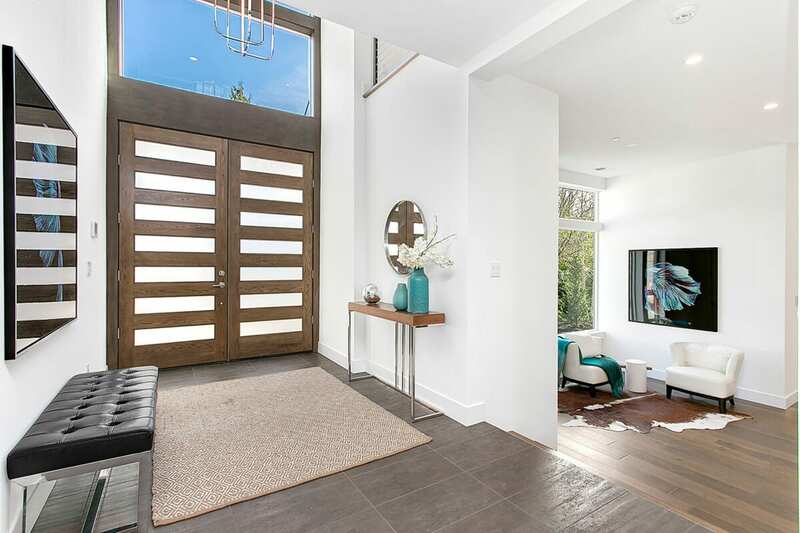 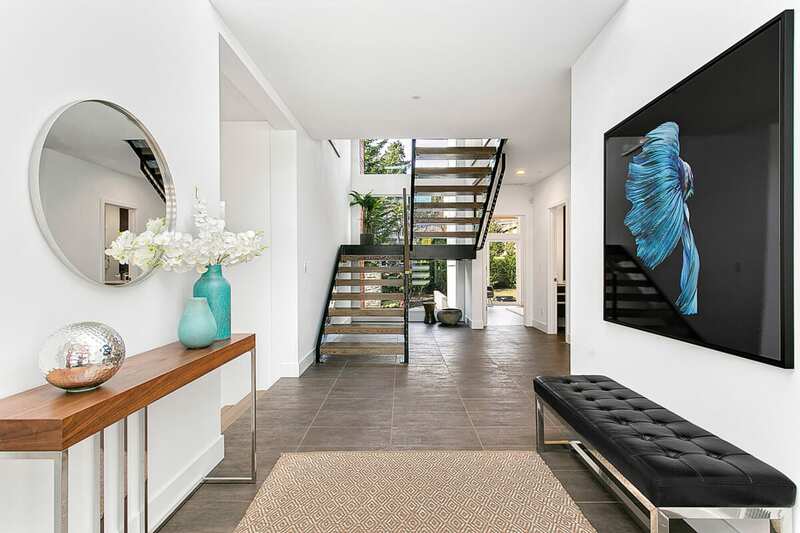 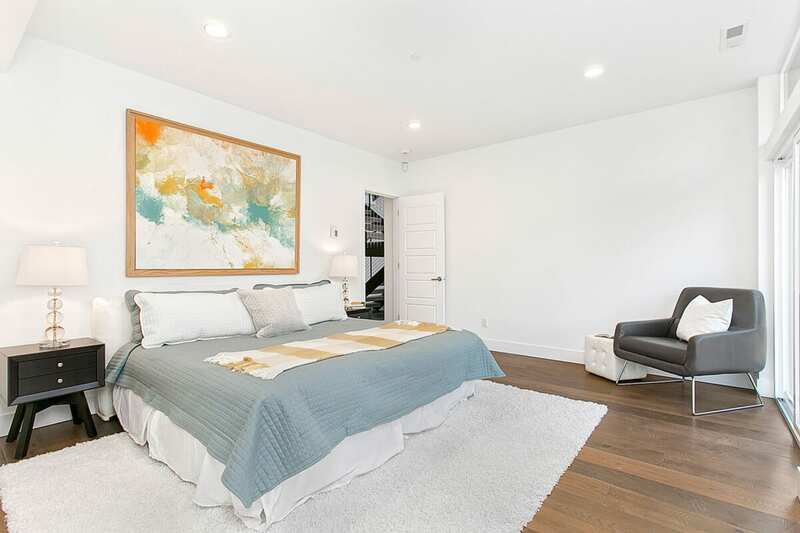 With over 4700 sq ft this 5 bedroom and 5 ½ bath home has high ceilings, a warm modern palette, 3 car garage, hardwood floors as well as radiant concrete floors. 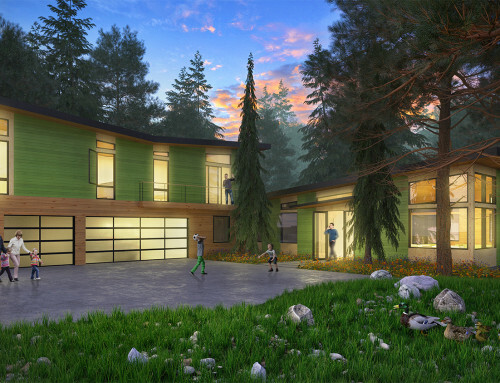 There is a main level bedroom that could be a main floor master or a guest suite for multi-generational living. 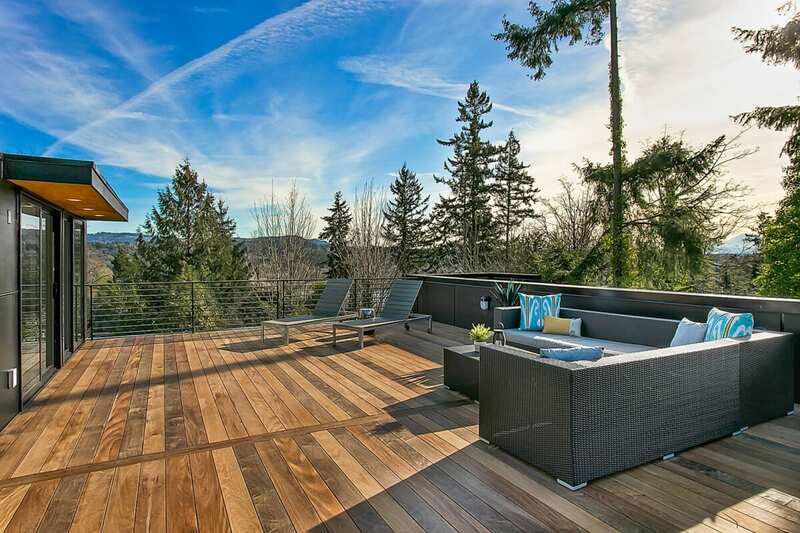 The upper level has 4 bedrooms, an office and the master suite has a wraparound deck perfect for relaxing and enjoying morning coffee. 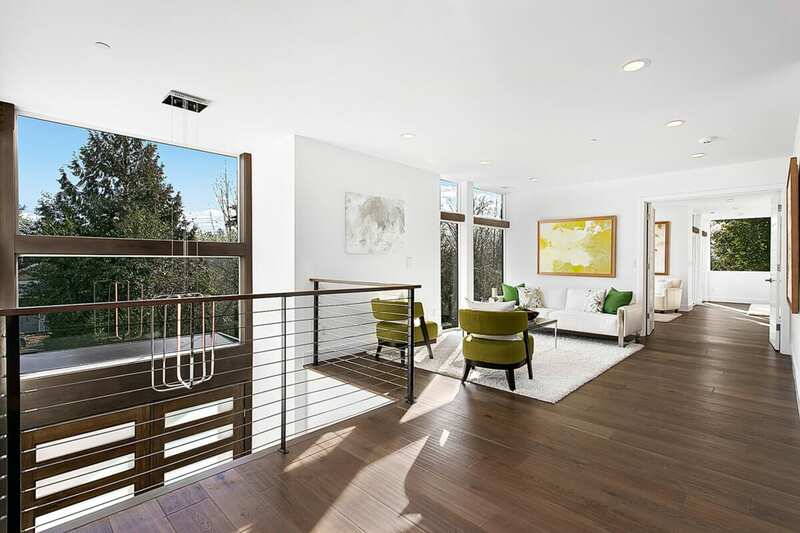 On the 3rd level there is an entertainment room complete with a wet bar, ideal for movies and games, as well as a roof top deck that was designed to accommodate a hot tub. 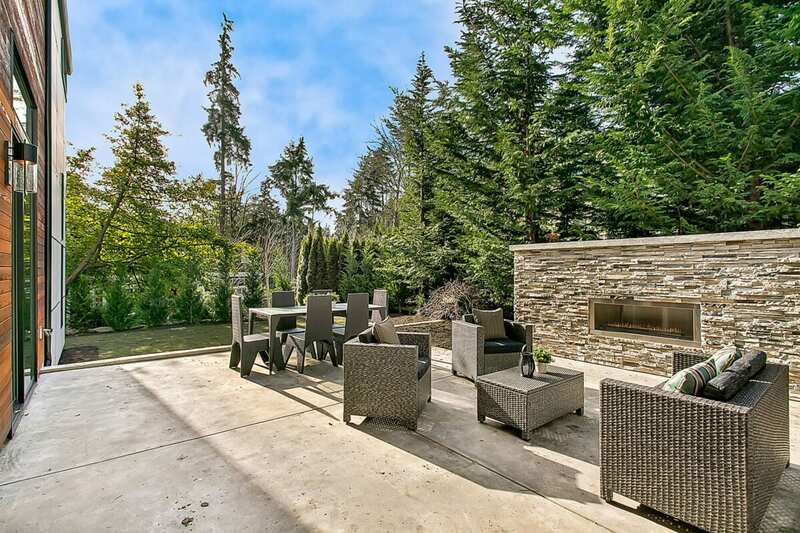 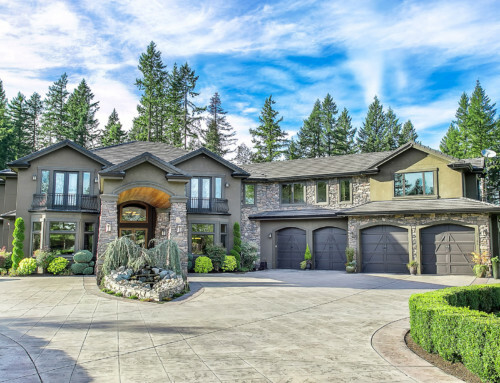 This home is close to Pioneer Park, hiking trails and award winning Mercer Island Schools. 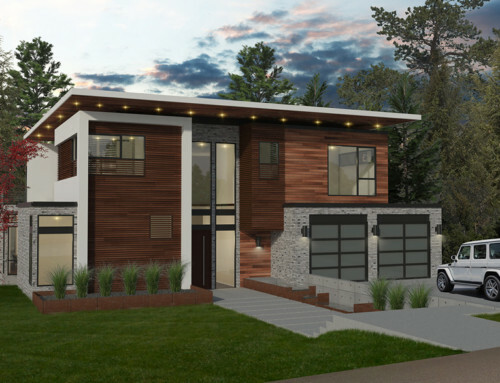 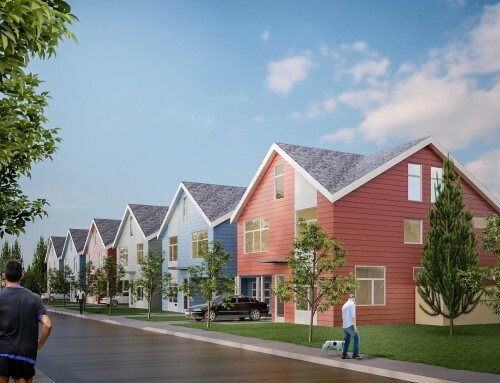 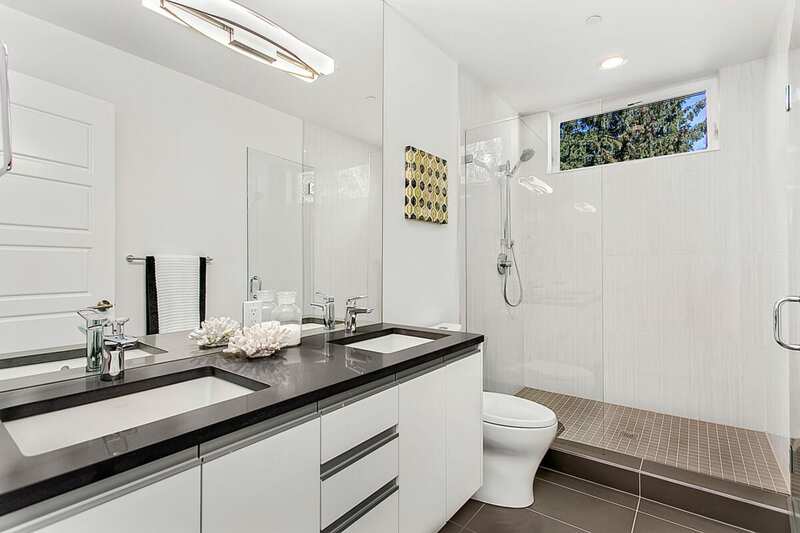 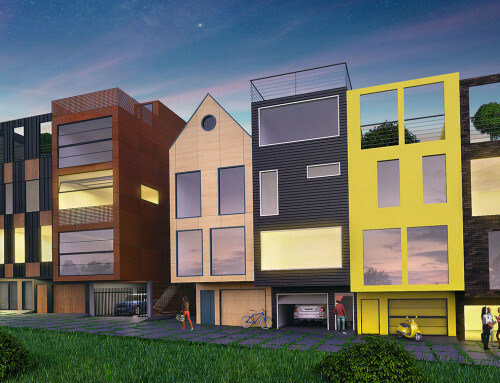 This is truly a unique opportunity to live in a contemporary house with a thoughtfully designed floor plan and spaces.